NEW YORK, NEW YORK, UNITED STATES, July 9, 2018 /EINPresswire.com/ -- Under Obamacare, many insurance policies have transitioned from an open formulary to a closed formulary where fewer prescriptions are covered to help control costs. As a result, many more people have to come out of pocket for their prescriptions. 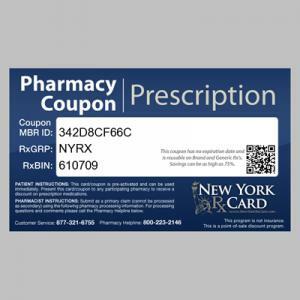 The New York Rx card is a state-wide free prescription discount card that is available to anyone and everyone, regardless of age, income, current health condition or residential status. The card provides a point-of-sale discount at any participating pharmacy for your prescription, whether it’s a name-brand or generic. Since introducing the program in May 2011, New York Rx Card has saved New Yorkers save more than $225 million dollars on their prescriptions. Generic discounts can be as high as 75%. Name brands can be as high as 50% with an average discount of 30%. You can even use the card to get discounts on prescriptions for your pets as long as you're buying the prescription at the pharmacy and not at the veterinarian's office. New York Rx Card is marketed primarily to individuals who pay for health insurance but struggle to afford their prescriptions. You can acquire the card in a variety of ways. You can download a card from the website nyrxcard.com, as well as to your phone. If you do not have internet access you can call toll free 1.800.931.2297, leave your name and number and one will be mailed. Additionally, many hospitals, doctor’s offices and clinics have them displayed at the nurse’s station. New York Rx Card is also the only discount card that is approved and supported by the Medical Society of the State of New York. 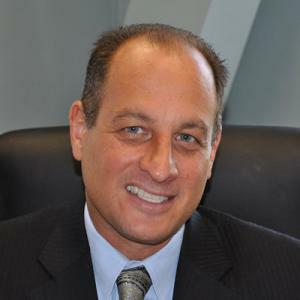 CUTV News Radio will feature Francesco Ciccone in an interview with Jim Masters on July 11th and July 25th at 1pm EDT and with Doug Llewelyn on July 18th at 1pm EDT.